Know someone that would love FogHorn? 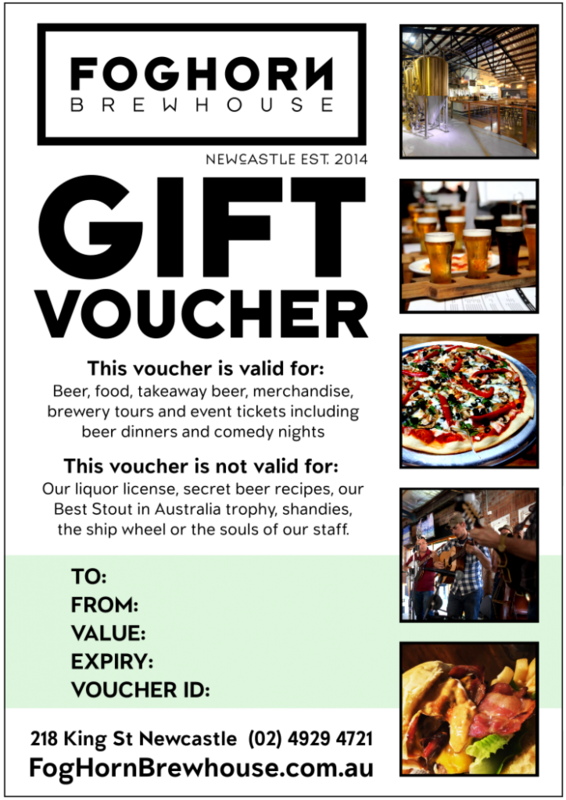 Purchase a FogHorn Brewhouse Gift Voucher using the form below. Expiry is one year from date of purchase. The voucher will be emailed to you the purchaser.